Think of a belief you hold so dearly that abandoning it feels like you’d be abandoning yourself. Now recall the person who first introduced you to it, and the gratitude you feel toward him or her. Would you abandon this belief if this same individual approached you now and tried to change your mind? Of course not! This is the basis of “a sustainable sale”. It’s when the customer’s decision to buy is so deeply internalized, that it integrates into his or her own personal beliefs and values. Imagine the difference it would make if customers’ decision to buy were sustainable. A customer’s enthusiasm for the product wouldn’t diminish so quickly. Salespeople wouldn’t need to expend resources reminding customers why the product is so great. The company would be less vulnerable to losing customers to competitors. Companies would save marketing expense dollars because the customers themselves are promoting the product. Imagine the reduction in waste going to landfills. Customers wouldn’t just discard the product when the next new thing came along. Eco-friendly companies work hard to make their products sustainable. However, if customers aren’t buying the products in a sustainable way, then the chain of sustainability is broken. A chain is only as strong as its weakest link. The product can still go to waste. For example, someone can buy a home vegetable growing unit, but if that customer isn’t committed to changing his diet to include more vegetables, then the unit will be of little value. It’s likely to end up in a landfill. Salespeople at multi-level or network marketing companies understand the importance of sustainable selling. Their success isn’t solely based upon selling someone a product. Their success depends upon getting that customer to enlist his or her friends to also sell the product. This requires securing a higher level of conviction. Salespeople can’t always be present when their customers are talking to their friends. Multi-level salespeople need buying decisions to be sustainable in order to trust that these customers will follow through on their own. Obtaining buying decisions with more conviction from customers is achieved when sustainable selling practices are implemented. 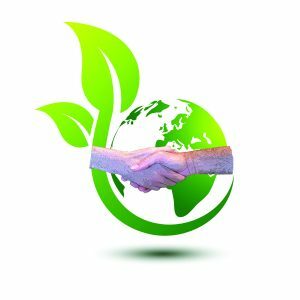 Sustainable selling practices begin with shared values and a clear intention. The company culture needs to value customer buying performance over salesperson selling performance. Salespeople need to be clear their intention is to help customers make better buying decisions. Sustainable selling requires salespeople to be learners rather than teachers. During the course of conversation, salespeople need to be willing to learn their customer’s beliefs, values, priorities, frustrations, goals, and more. Once this is learned, salespeople can present their products in a way that will integrate into the customer’s beliefs and values. Just like our planet, the success and sustainability of your business relies upon a system of interdependent elements. A weakness in one element will throw the rest of the system off balance. The sustainability of the customer’s decision to buy your product is as important an element as the sustainability of your product itself. Give it the attention it deserves with shared values and a clear intention. You’ll be rewarded with a business that’s sustainable both inside and out.